Just as the chill of the northern hemisphere winter 2016 sets in, John Debo’s Mindwarp imprint awakens after a near 18 month hibernation with a release from Houston, Texas’ Josh Dupont & Dan Snow aka Extended Play, whose work has already featured on labels such as Bedrock, Crosstown Rebels, Fade & Prisoner of Love. The title cut, ‘Sounds Like Glitter’, opens with a powerful bass groove, slowly evolving with soft, percussive melodies to a breakdown where Dan’s classical and jazz musical training shines through with his interwoven guitar riffs and melodies. 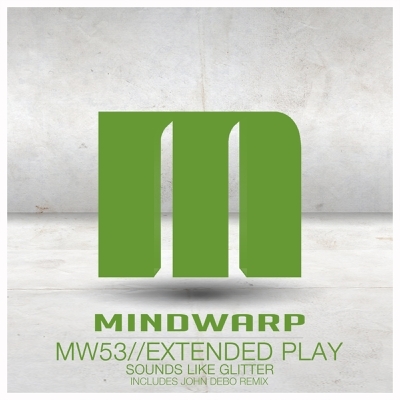 Not straying from the musicality of the original for a moment, Mindwarp bossman John Debo goes full steam ahead delivering both a remix and heavier dub version, already garnering early support from John Digweed on his Transitions radio show. Rounding out the package, ‘Sunset Strip’ picks up where ‘Sounds Like Glitter’ leaves off. More interwoven melodies, big percussion, and attention to detail translate into another deep, meandering affair which may be at home on any of the world’s underground music stages, large or small.